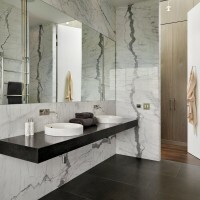 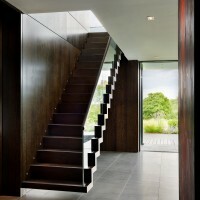 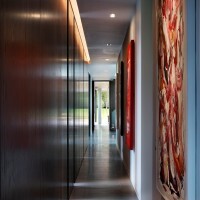 Gregory Phillips Architects have designed Berkshire, a family home recently completed in England. 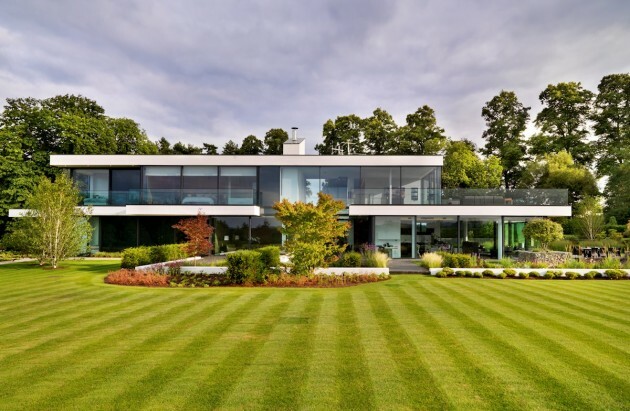 This substantial modern country house is set within twelve acres of elevated grounds on the banks of the River Thames in Berkshire. 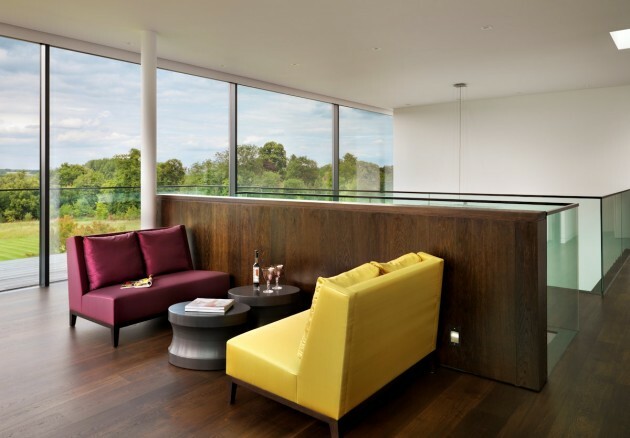 The layout of the house evolved from a simple diagram incorporating a protected centralised courtyard flanked by glazed single-aspect rooms affording magnificent countryside views, inspired by traditional country houses with adjoining stable yards. 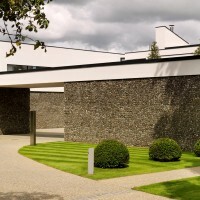 This line drawing evolved into a restrained plan of generously-proportioned spaces surrounding a flint-walled inner-courtyard linked by galleried corridors faced with timber panelling and stone floors. 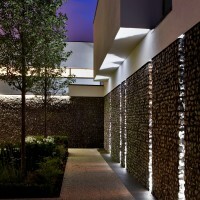 The extensive contemporary flint-work used within the courtyard reinterprets the flint-work within the surrounding village, and in particular the medieval church that is within view of the property. 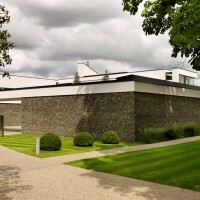 The horizontal strips of render almost extend and reinforce the contours of the site when viewing the property from the river. 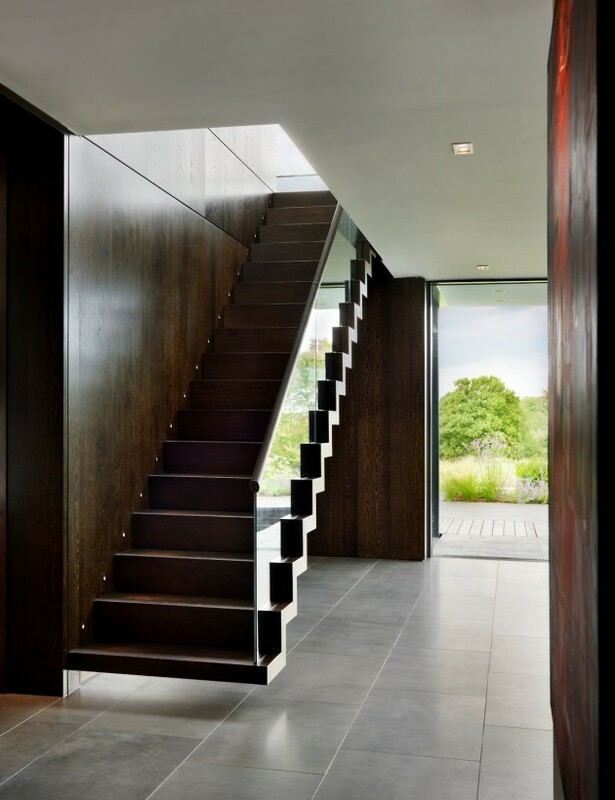 The site is accessed via a pair of grand, Grade I Listed metal gates and a gravelled driveway leading to the central courtyard which is completely enclosed by the house and out-buildings. 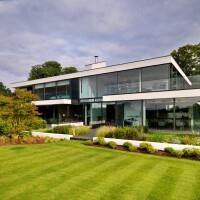 Entry to the house itself is made by crossing an enclosed reflecting pool leading into a double height space, from here the building is predominantly glazed to face the far-reaching north-western views with terracing at each level. 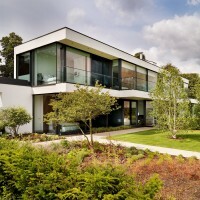 The gardens immediately adjacent to the house incorporate an infinity edged swimming pool and a tennis court, the landscaping follows a simple, semi-formal layout which leads on to the extensive grounds and open-countryside beyond. 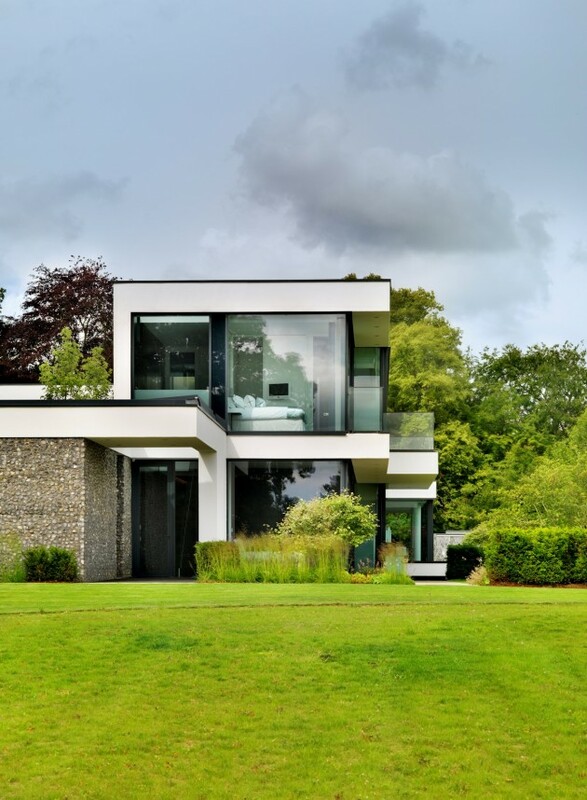 The planning authority requested a dwelling of architectural merit in order to replace the much smaller dwelling previously situated upon the site. 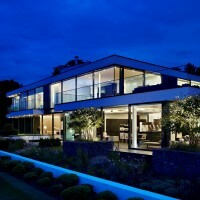 A concrete structure was built up to and including first floor level with a steel frame above. 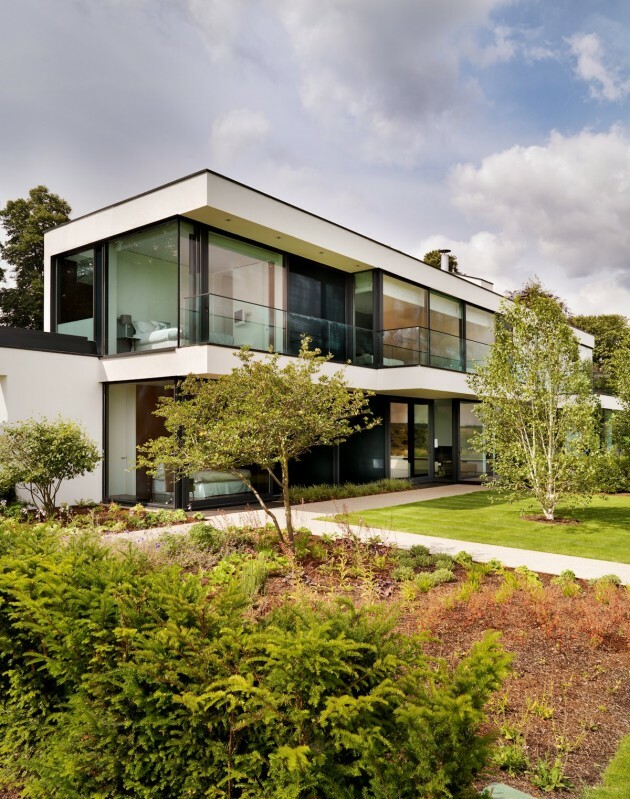 The house became the first residence within the UK to incorporate a Cobiax slab at first floor level in order to achieve the extensive cantilevers inherent within the design.